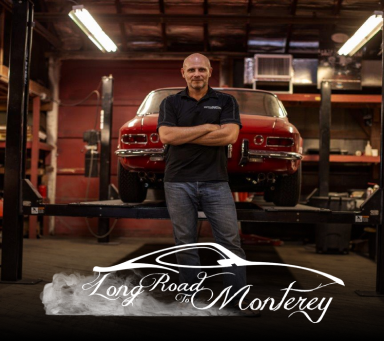 Follow us on the incredible journey we shared with MotorTrend on our Long Road to Monterey. Welcome to The Creative Workshop! 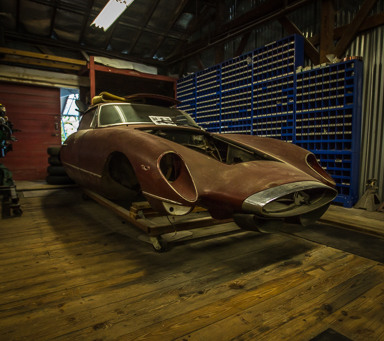 We are a nationally recognized, full-service car restoration business dedicated to historic antique, vintage, post-war and classic, European and American cars. 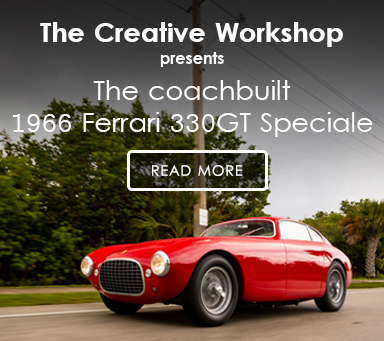 Located in Dania Beach, Florida, just south of the Ft. Lauderdale Airport, the workshop is housed in a unique, 80+ year-old historic building that has been fully converted into a comprehensive restoration & coachbuilding facility. With over 10,000 square feet of workspace, we provide nearly all aspects of restoration, service, repair, maintenance, preservation and support in-house. Our facilities and capabilities are singularly focused on supporting the unique needs of the vehicles we work on, our clients’ needs and the highly specialized nature of our work. 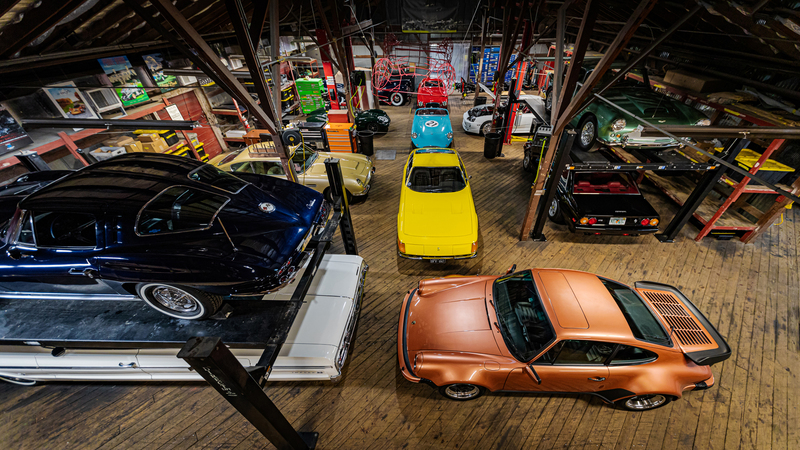 Our shop is considered a multi-marque workshop – with expertise in numerous eras, styles and nationalities of cars. We support our clients – not a specific type of car - and given the diverse collecting tastes of our clients, we regularly see brass era to pre-war grand classics, American Muscle and Chrome, Etceterini and European sports cars of the 50’s and 60’s (and pretty much anything and everything in between!). Cars restored and custom coachbuilt by Creative have garnered numerous awards at international, national and local events – such as Pebble Beach, Amelia Island, Villa d’Este, Cavallino, Mille Miglia and many, many more. Our Clients send us their cars from around the world for good reason: Our experience, attention to detail and results give them the confidence to expand their collections into any marque or era, and to acquire cars regardless of rarity or condition. As craftsmen and historians, our goal is to produce results that are as functional and correct as they are beautiful. Creative is honored to have the trust of our Clients from around the world - encompassing cars from the dawn of motoring, the rare and exotic and all of the wonderful variants in-between. 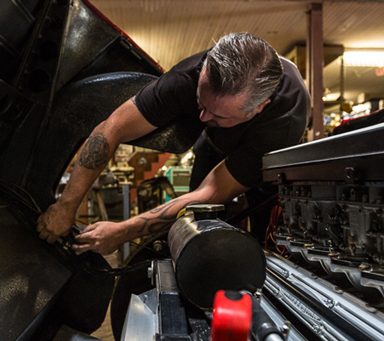 A rebuilt classic car is only as good as the craftsmen who work on it - or the level of commitment of the shop that takes on the project. These dynamics are taken very seriously by us. 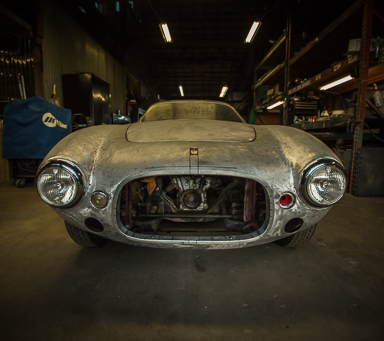 For the rarest of vehicles, we qualify our work as “forensic restoration”. These "one-off", prototype, exotic or vintage racing cars are a very special breed of classic car. Designing and building a bespoke or custom car allows our Clients to possess something no one else in the world has. It is the ultimate form of creative expression. 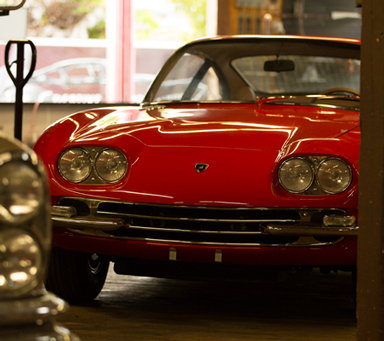 There are many unique aspects to the service, repair & maintenance of a classic vehicle. Their needs and requirements are completely different than a modern car. © 2019 The Creative Workshop. All rights reserved.